Exactly a year ago yesterday, I wrote an article detailing how poorly pricing guides value the M Coupe compared to their true market value. 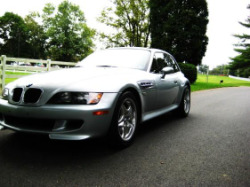 Recently, JT, an M Coupe owner from California, used a contact of his at KBB to re-evaluate the true market value of the M Coupe (Bimmerforums thread). I thought I’d re-run all the same cars I used last year, and see what each of the guides now say they are worth. As for NADA and Edmunds, I’d have to say I’m pretty disappointed with Edmund’s “True Market Value”. Edmunds has been my personal go-to car resource for quite some time. There were discussions with them about M Coupe values a while back, but it appears nothing has come of them. They’re the new KBB of the pricing guides. NADA continues to do a decent job with higher prices across the board. Part of that is they don’t publish a private party price, so the prices I posted are for “Clean Retail”. One noticeable change is that the low mileage coupes got far less credit for their mileage than they did last year. While most of us are searching for the perfect color combination, there are many other things to look for in an M Coupe. To start, look for a complete set of maintenance records, so you can judge the car’s service history and verify its mileage. You should also consider ordering a title report from AutoCheck® or Carfax to verify a clean title and make sure there are no unknown accidents in its history. A Pre-Purchase Inspection by a mechanic knowledgeable of these cars is also a must regardless of the coupe’s apparent condition and mileage. Any inspection should include the usual checks for engine compression, cosmetic flaws, body and chassis corrosion, accident damage, malfunctioning accessories, etc. 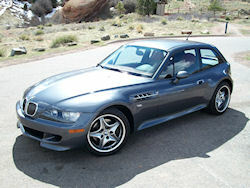 There are many things specific to the M Coupe that should be checked as well. The list below encompasses most of the common issues you should be aware of and have checked out when looking to purchase an M Coupe. It was originally compiled by wildag (www.dreamingwell.com) in this Bimmerforums thread. I’ve edited it to be more coupe specific and added a few of my own thoughts. I plan on editing and adding to it as I come across more information. This I’m sure is the issue you are probably most aware of. As far as I can tell, the problem is not as widespread as you may have been led to believe, although it could be a significant problem. The issue is commonly referred to as subframe failure which is kind of a misnomer. The Z3’s differential mount and rear trunk floor welds are prone to tearing. To inspect, remove the carpet in the trunk and look for spot welds along the back floor. These spot welds should be little flat circles. If they are sunk, or cracked, there will soon be a problem. Under the car, look at the C shaped mount to which the differential is bolted. Inspect for tears in the corners of C. Also look at the bottom of the trunk floor for signs of tearing or separation. Randy Forbes and Dinan both have kits that strengthen the diff mount and trunk floor. These can be used as a preventative measure. A comparison of the two kits is discussed here. If the coupe you are looking at has been reinforced, it’s a really big plus. 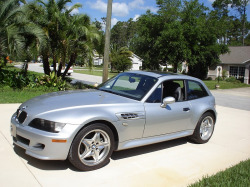 A lot more information can be found in this Bimmerforums thread and the Z3Power Website. While driving the car at least 40mph, lightly hold the steering wheel and press the brakes with force. If the car swerves, or does not stop in a smooth straight line, you’ll need to inspect the following: front control arm bushings, tie rod bushings, brake pads and rotors. The control arm and tie rod bushings may be cracked or broken, causing extra “play” in the steering alignment. The brake pads and rotors may be too worn or warped. The S54 engine in 2001-2002 M Coupes had a very significant design flaw that can be fatal to the engine. The rod bearings on the crank shaft can become misaligned, causing the crankshaft to move out of alignment. Replacing these bearings with an updated version is a permanent, but costly fix. All S54 owners should ensure that this problem has been corrected. BMW covered this problem under warranty on other models, and has been known to cover this issue on a case-by-case basis for the Z3. If purchasing an S54-engined M Coupe, check the maintenance records to see if either the bearings or entire engine have been replaced. Expect to pay $800-$1200 to have it done on your own dime. The manual transmission shift lever may lean to the right (5th gear) or may be difficult to put in 1st and 2nd gear. This indicates worn shift pins, most often due to excessively aggressive driving or mileage. Replacement parts cost around $100. It could also mean the 5th gear detent needs to be replaced. The transmission needs to be removed and special tools are required for either of these services. BMW does not publish service instructions for the Z3 transmission, so a seasoned transmission specialist will need to be consulted. These issues may sometimes be resolved with a simple fluid flush and change. The lights behind the gauge cluster and HVAC controls in the center console may burn out. The lights themselves are very cheap, but replacement can take a few hours. Check that dash and center console lights are illuminated when the head light knob is pulled out. If they do not illuminate, try turning the head light knob in either direction. If the lights dim heavily when they’re supposed to be lit, do not have a consistent slope of illumination or are completely dark, the head light knob circuit needs to be replaced. Parts are about $90 and installation takes an hour. Check that turning the “hot/cold” HVAC knob (center) has the desired effect. If the knob turns very easily, or not at all, there’s a problem with the tension cable. If the knob moves too easily, the HVAC control may need to be replaced for about $150. If the knob doesn’t move, especially from hot to cold, the tension cable needs to adjusted; 2 hours of work. Check that turning the fan speed knob (right) has the desired effect on all 5 settings. If the knob only works on the upper most settings, its likely that a resister in the fan control has broken. Parts cost about $30 and require 2 hours of labor. Check that the stereo speakers all sound normal. The subwoofer and kick-panel speakers will degrade over time. The subwoofer is very expensive to replace, but there are many aftermarket options. The kick panel speakers can be replaced easily. The rear shock mount bushings wear quickly in spirited driving. You will hear a solid “clunking” sound inside the cabin from either side of the rear. This indicates that these bushings have worn and need to be replaced. Parts cost ~$30. While Roadster install time is around 2 hours, Coupes require disassembling almost the entire trunk carpet, and therefore takes around 3 hours. I would suggest installing Rouge Engineering Rear Shock Mounts, as they will allow much easier replacement of these bushings in the future. The parking brake cable can stretch over time. This may cause the parking brake to not fully engage, and the cable may rattle against its retainer clips during normal driving. The rattling sound will appear to come from outside the car and over the driver’s left shoulder. The cable can be re-tensioned using simple tools; takes about 30 minutes to learn. In some cases, a retaining clip and spring inside the rear wheel hubs may have failed, causing the rattle. These can be replaced for ~$20 and take about 30 minutes. Moderately uneven tire wear on all four tires is normal. The factory recommended camber and toe setup will cause this uneven wear. Tires that are heavily worn on only on one side of an axle indicate a suspension geometry problem. This may be due to sagging springs, bent arms or NASCAR circuit driving. These kinds of issues can be quite costly, and should be remedied before purchase. Thanks again to wildag for initially compiling this list and allowing me to post it here. Please let me know if I’ve missed any other issues that M Coupe shoppers should be aware of in their search. What’s with Kelley Blue Book? If you’ve been shopping for an M Coupe and need a loan, you were probably very surprised by what the bank told you your dream car was worth. Most banks are now willing to loan 90% of the Kelley Blue Book price for a used car (if you have good credit). The problem is KBB says the car is worth about half of what the market says. Some banks may be willing to look at Edmunds True Market Value or NADA price quotes as well, but they really are not a whole lot better. These organizations’ price estimates are largely based on a simple depreciation scale rather than the market and seem to no way factor in rarity, desirability or collectability. KBB does not even seem to factor in the S54 engine in the later cars. 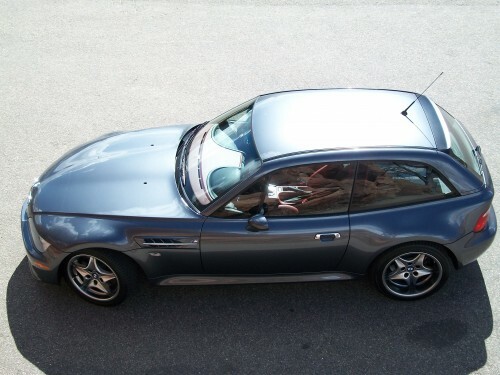 For an example, my personal dream coupe gets docked for not having a sunroof and for being Steel Gray. It obviously does not seem to gain anything by being one of two made in its configuration, a final model year car, having the S54 engine, ridiculously low miles, etc. A similar M Roadster is actually estimated higher as convertibles are typically more desirable in the average market, but that’s certainly not the case in the M Z3 market. 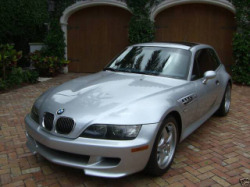 “KBB says…” is probably the most annoying phrase ever uddered to an M Coupe seller as well. Potential “buyers” expecting to buy an M Coupe at KBB value will be sorely disappointed. I don’t blame those sellers who don’t even return communication of any interested parties that even mention that phrase. For those reading this, know that this is not a bargaining point. If you are able to find a coupe priced at blue book, buy it and consider yourself lucky as it’s a rare occurrence by uninformed sellers. Some coupe owners have talked to Edmunds about their low estimates, but no one really has any solid data to back up what is the market value. That’s one of the reasons I’m trying to collect sale prices on M Coupes. Perhaps in the future we can have some more realistic numbers from these organizations. First, consider talking to a credit union. Credit unions have a little more flexibility than banks and may be willing to work a little more with you. Next, go somewhere willing to look at NADA rather than KBB. It is by far the most accurate of these three organizations (although not quite there). Some credit unions will also be willing to look at comps to find a fair price. Because coupes are rare, these are pretty hard to come by. I’m hoping this site will be helpful with this in the future if I can continue to collect sale prices. Finally, be patient and save up the difference between what you can get for a loan and the price you’ll have to pay for your dream coupe. Good luck! Edit: You can now click on the “Sale Listings” link at the top of the page for a complete listing of all coupes from these sources updated daily. If you’re going to find a “steal”, it will probably be on Craigslist. It also has the least informative listings and more potential for scams. Because Craiglook got shut down, I wrote a query for Google to search all Craigslist for me. The downside is that it sometimes links to expired or removed listings. Obviously the most turnover of cars and pretty good prices, but there are generally only 1-3 coupes listed at any given time. This section is meant primarily for parts, but some people post their cars here as well. Often times they are moved to the main classifieds, but to get the right coupe you have to find them before anyone else does. 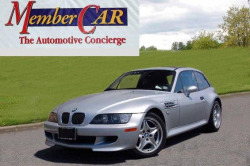 M Coupe listings are usually sparse and prices generally much higher, but there have been exceptions over the years. Often times listings are not listed elsewhere though. They rarely have a coupe, but have had a couple in the past for great prices.